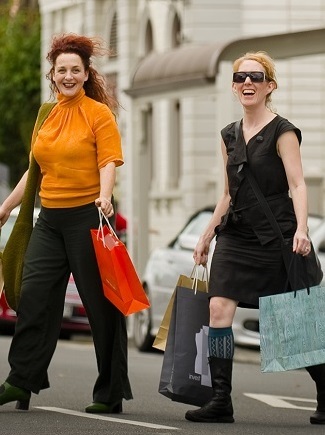 It's easy to fill in a weekend in pretty Martinborough. Check out the boutique vineyards dotted around the village (best done on a bike - you can hire one here), browse the shops and look at the list below for more tours and ideas. Martinborough Wine Tours offers wine and food lovers a fully guided, fantastic day or half day out sampling some beautiful Martinborough wine. Life Enriched Holidays are curated, all-inclusive educational style holiday programmes based in Martinborough. Choose from 3 or 5 day courses in haute cuisine, creative writing, astrophotography, wine qualification or Italian culture. This festival in Martinborough delivers chamber music concerts of extraordinary quality over three days, featuring some of New Zealand’s finest classical musicians. The next festival will be from 27-29 September 2019. Performances will be confirmed closer to the time. Please check here for up-to-date details. The Shearer's Quarters is a fully equipped, modern, funky holiday home in the fabulous vineyard setting of StoneCutter Estate in Martinborough. Green Jersey Cycle Cape Palliser Explorer Walk and Tour takes you to the wonderful south coast and includes a guided walk into the Pinnacles. The Rapaki Walk is a loop walk across farmland and has spectacular views of the Wairarapa valley and Martinborough vineyards. Martinborough Wine Merchants is a one-stop specialist wine shop - and they hire bikes for cycling round the vines, too. Commonly known as the TK Markets, Martinborough. You'll feel yourself relaxing the minute you step into Brackenridge Day Spa - a country escape designed for total body rejuvenation. Martygirl skinfood is natural, nourishing and made in Martinborough.Feel like a treat that's nourishing too? Get your friends together and indulge in a Martygirl Skinfood slather. Adi McMaster was a Martinborough farmer and chef with a passion for making natural skincare by hand. Her award-winning Martygirl range is made from wild, local ingredients. Poppies Martinborough is a boutique vineyard set amongst the wine village's prime grapes. Muirlea Rise is a boutique Martinborough vineyard specialising in creating beautiful wine with minimal intervention in the making. Tirohana Estate is a beautiful vineyard and Tirohana Cellars is a divine place to eat in Martinborough. Escarpment vineyard is just 5 km east of Martinborough village, stretching out along the banks of the Huangarua River. 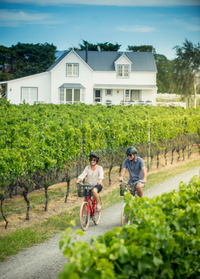 Martinborough TOP 10 Holiday ParkThis walking track takes you around Palliser Vineyard towards the river and back through the centre of the vineyard. 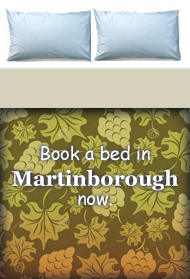 Park anywhere near the Martinborough Top 10 Holiday Park and follow the signs. The Pukemanu Bar & Eatery is the local pub in Martinborough, great for a drink or meal.